Scientific Style and Format is also available as a subscription website. For more than fifty years, authors, editors, and publishers in the scientific community have turned to Scientific Style and Format for authoritative recommendations on all matters of writing style and citation. Developed by the Council of Science Editors (CSE), the leading professional association in science publishing, this indispensable guide encompasses all areas of the sciences. Now in its eighth edition, it has been fully revised to reflect today’s best practices in scientific publishing. Scientific Style and Format citation style has been comprehensively reorganized, and its style recommendations have been updated to align with the advice of authoritative international bodies. Also new to the eighth edition are guidelines and examples for citing online images and information graphics, podcasts and webcasts, online videos, blogs, social networking sites, and e-books. Style instructions for physics, chemistry, genetics, biological sciences, and astronomy have been adjusted to reflect developments in each field. The coverage of numbers, units, mathematical expressions, and statistics has been revised and now includes more information on managing tables, figures, and indexes. Additionally, a full discussion of plagiarism and other aspects of academic integrity is incorporated, along with a complete treatment of developments in copyright law, including Creative Commons. For the first time in its history, Scientific Style and Format will be available simultaneously in print and online at www.scientificstyleandformat.org. Online subscribers will receive access to full-text searches of the new edition and other online tools, as well as the popular Chicago Manual of Style Online forum, a community discussion board for editors and authors. 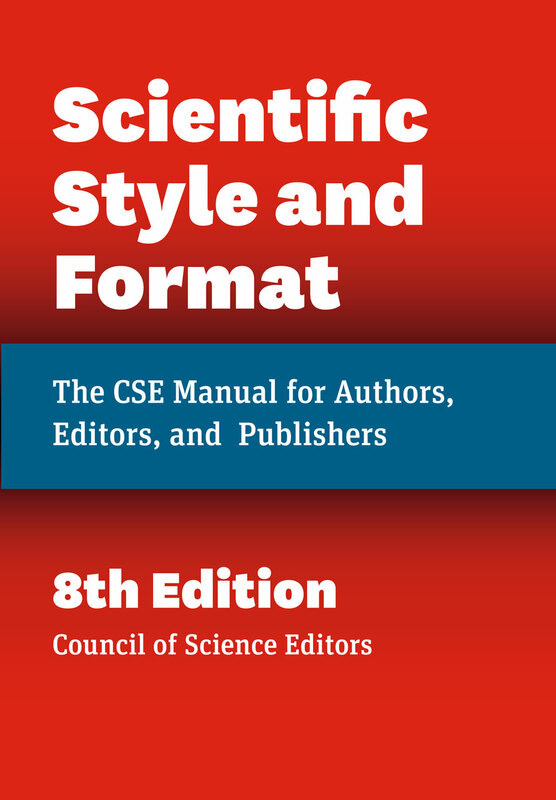 Whether online or in print, the eighth edition of Scientific Style and Format remains the essential resource for those writing, editing, and publishing in the scientific community. "Scientific Style and Format remains the best resource for issues related to scientific editing, and the move online makes it even more valuable. Buy it if you don’t have it, and consider an upgrade if you have an earlier edition." "This style manual from the Council of Science Editors does not simply tell scientists how to cite appropriately; it provides a holistic overview of preparing scientific work, from typography to specialized scientific conventions. . . . Essential." “The format of the SSF8 provides readers with a comprehensive and authoritative guide to formatting any scientific work or publication. The Council of Science Editors really thought of just about everything a researcher may need when formatting and publishing their work."